TERRE HAUTE, Ind., Sporting Alert – Final results from the NCAA Division I Men’s and Women’s Cross Country Championships in Terre Haute, Ind., on Saturday. No. 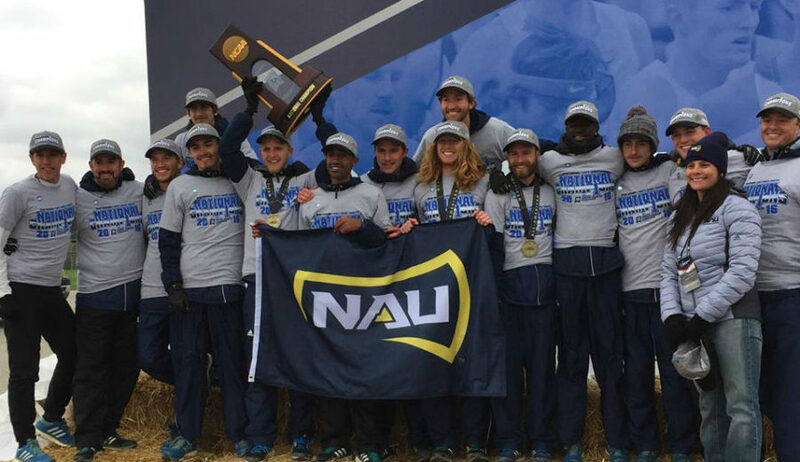 1 Northern Arizona came here and handled its business on the men’s side, but there were upsets galore elsewhere. The Lumberjacks, fueled by Futsum Zienasellassie, Matt Baxter and Tyler Day top 20 finish, extended their outstanding form this season at the LaVern Gibson Cross Country Course by lifting the school’s first-ever cross country national championships. Zienasellassie took fourth place overall in the 10K race with a time of 29:49.8 to help Northern Arizona tally 125 points for first place in the team race. Stanford (158), Syracuse (164), Mississippi (196) and Arkansas (206) completed the top five team finishers. On the Individual side, Villanova’s Patrick Tiernan captured the men’s 10K with a time of 29:22.0. Tiernan, running his last cross country race in college, pulled away from the pack in the closing 1,000m on his way to beating Syracuse’s Justyn Knight, who ran 29:27.3 for second place. Defending champion and pre-championship favourite Oregon’s Edward Cheserek was hoping to win his fourth successive NCAA cross Country title, but fell to third place in 29:48.0. There were also shockers on the women’s side in both the team and individual battles. In the team race, No. 12 Oregon stunned Michigan and No. 1 ranked Colorado to become the lowest ranked team to ever to win the women’s crown, according to USTFCCCA. The lady Ducks used two top placings to help score 125 points, one point less than the 5th-ranked Wolverines (126), while top-ranked and overwhelming favourite Colorado was left back in third with 134 points. No. 2 NC State finished fourth with 223 points, while defending champion New Mexico was seventh with 310 and No. 3 Providence (399) was 13th. On the individual side, Missouri junior pacer Karissa Schweizer, as she did at the Midwest Regional Championships, used a brilliant final kick to take down Michigan’s Erin Finn in the final 100 meters. Schweizer won the race with a time of 19:41.6, with Finn crossing second with 19:44.2. Notre Dame’s Anna Rohrer took third in 19:44.6.